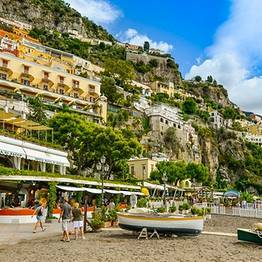 A full-day exploring Sorrento, Positano, and Amalfi departing from Naples, including lunch at a restaurant with a view on the Amalfi Coast. 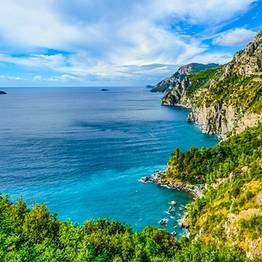 Departure from Naples is scheduled between 7:30 and 8:30AM, and return approximately 5:30PM (with stops at the cruise port and train station). 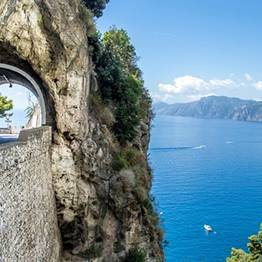 The length of time available to explore Sorrento, Positano, and Amalfi may vary according to traffic conditions. Pick-up in Naples will be arranged for major hotels, the train station, or other locations in the city center. We will contact you after booking to let you know the exact time and place of pick up based on where you are staying or arriving in Naples. 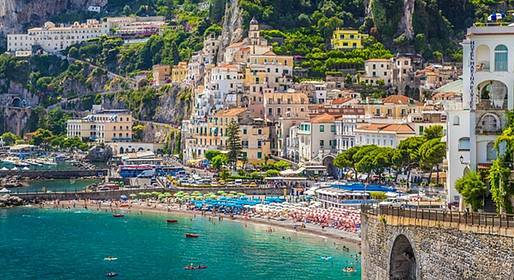 This is the only tour that departs from Naples for Positano! 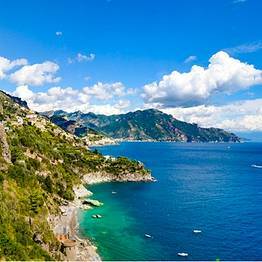 For our day trip to Sorrento, Positano, and Amalfi, we recommend comfortable clothing and shoes, a hat, and sun screen. Cancellations received lass than 24 hours before the tour will not be reimbursed. No shows are not reimbursed. In case of tours cancelled due to bad weather, clients can change the date or destination (cancelled tours will not be reimbursed).